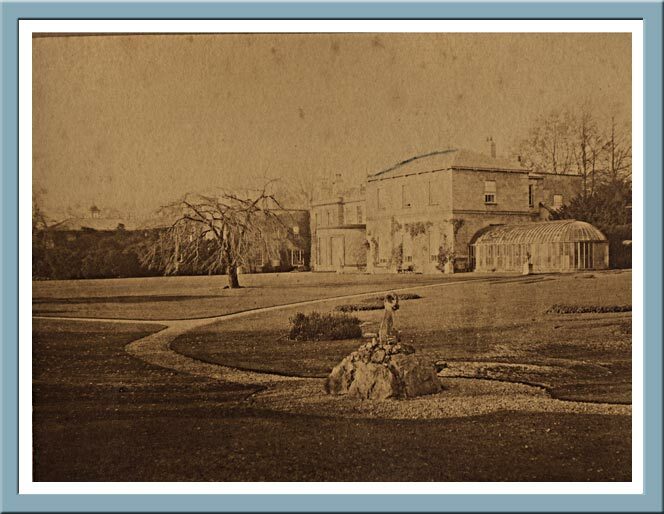 The Hall around 1880, the Drawing room and Conservatory to the fore. The only remaining parts are behind the tree in the middle distance. The foreground is now lost in a cherry plantation, which covers most of the picture from around two thirds along the Drawing Room. May, 2005 Scan date, source unknown.